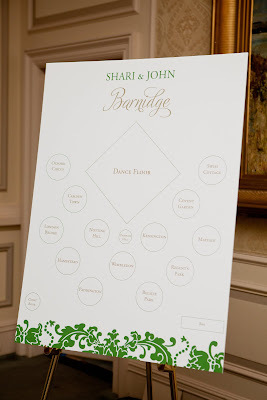 Shari and Jon chose the ballroom wedding invitation suite in green & gold, and I must say, her colors were some of my favorite from the entire year! 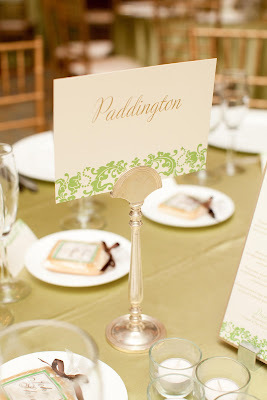 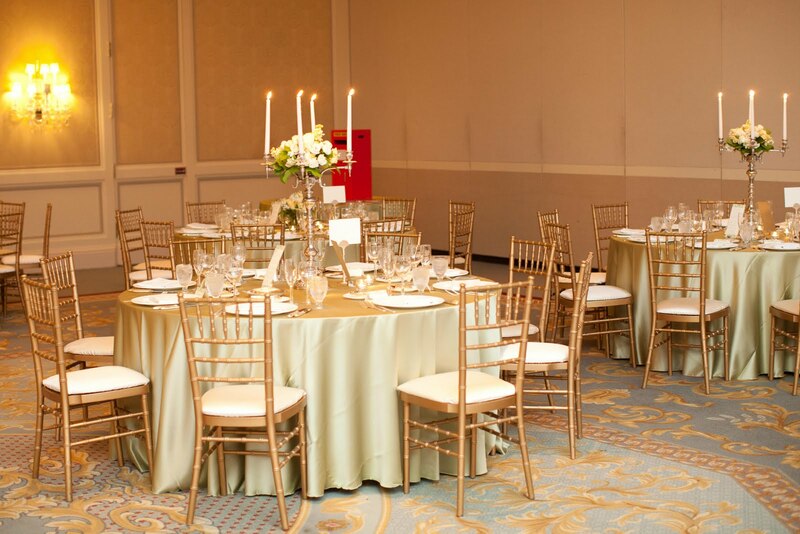 She chose a custom green that was so soft and pretty but still modern and she paired it with metallic gold. 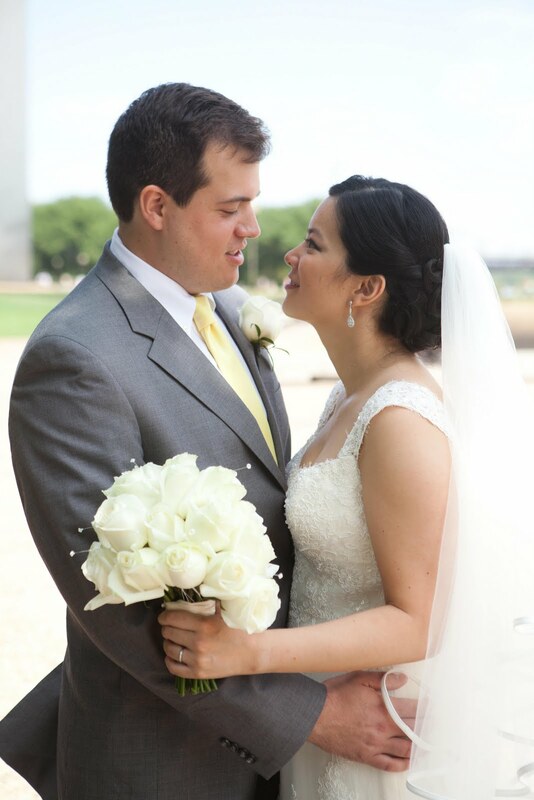 And what a beautiful couple! Shari & John were married at The Old Cathedral in St. Louis, Missouri and their reception was held at the Ritz Carlton in St. Louis. 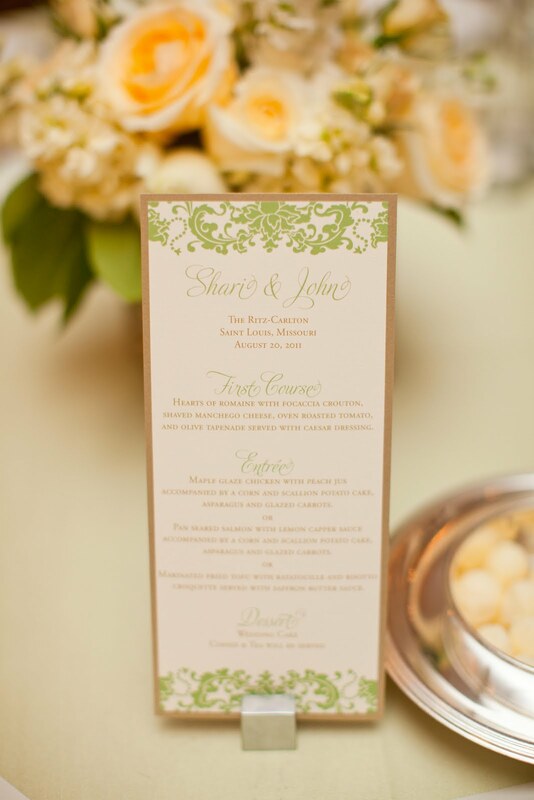 Congrats Shari & John & thank you so much for choosing Blush Paperie!